We know that the 2011 ornament JUST came out, but we thought we’d give you a sneak peak of what is to come for 2012 just for fun! 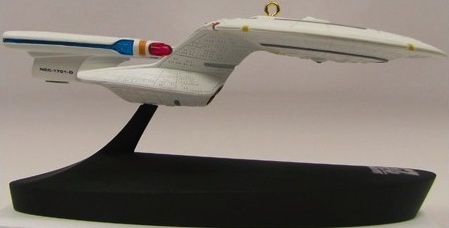 Every year at the San Diego Comic Convention (San Diego ComicCon, or SDCC), it has become a tradition to unveil the Star Trek Hallmark ornaments for the next year, and so now we are going to share what we learned with you. 2012 Dr. McCoy Hallmark Ornament, #3 in the Star Trek Legends series. Dr. McCoy is the 3rd in the Star Trek™ Legends ornament series, and the 2012 edition will have a very detailed Dr. McCoy holding a test tube and some medical equipment. As you can see just by glancing at the 2012 ornament, it will have a lot more detail than the original Dr. McCoy Hallmark ornament that was released back in 1997. The 2012 ornament will also feature Dr. Leonard “Bones” McCoy in sick bay, where most Trekkies were accustomed to seeing him perform medical miracles, rather than in a one-person transporter chamber. Needless to say, we feel that the 2012 ornament is definitely an upgrade from the ornament released back in 1997. Way to go Hallmark! 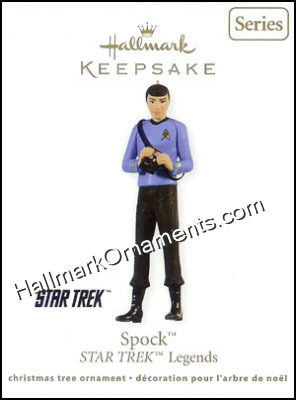 The second 2012 Star Trek™ Hallmark ornament features Spock™ and … Spock™! 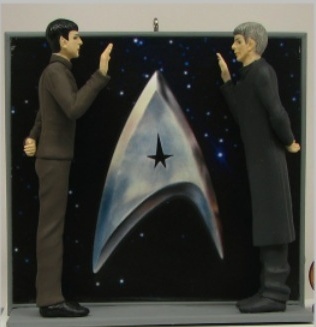 This ornament depicts a scene from the 2009 Star Trek feature film, where the Spocks from the two different realities met at the end of the movie. This was definitely a classic moment in Star Trek “lore”, where the past and the present came together; where the torch was passed from one generation to the next. This ornament will feature dialogue from that scene. Of course, no one has these ornaments for sale right now, but The Ornament Factory will have them available … in July of 2012. For THIS year’s Christmas tree, you can add 3 new Star Trek Hallmark Ornaments, Mr. Spock (#2 in the Star Trek Legends series), Mirror, Mirror (which features an evil Spock mind-melding with Dr. McCoy), and a 23rd-century Romulan Bird-of-Prey.